The Society of Motor Manufacturers and Traders (SMMT) has raised its forecasts for new car sales in 2013 after registrations rose for the 17th consecutive month. The SMMT believes new car registrations will hit 2.216 million this year, a rise of 8.4 per cent compared to 2012. Data for July shows a 13 per cent growth, with 162,228 new cars sold. Registrations of plug-in cars saw a huge rise, with 1885 cars sold over the first seven months of the year – an increase of 70 per cent compared to the 1104 sold in 2012. Registrations of alternatively-fuelled vehicles grew by 17 per cent in July, with 2432 cars sold. 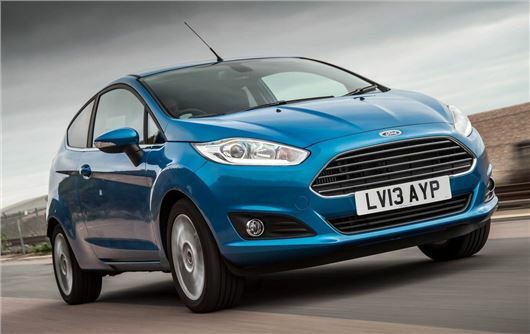 Private registrations rose by 12 per cent in July, with the Ford Fiesta topping the table with 9089 cars sold. The Focus took second spot with 7229 registrations, while the Vauxhall Astra made the third with 6165 sales. The boost in sales will be welcomed by the UK automotive industry, which accounts for more than 700,000 jobs and 10 per cent of all of Britain’s exports. The UK market is now eight per cent behind its pre-recession levels in 2007, when registrations peaked at 2.4 million sales. ‘Recently, we've seen a range of economic indicators point to improving conditions and our raised sales forecast emphasises how positively we view the rest of 2013."